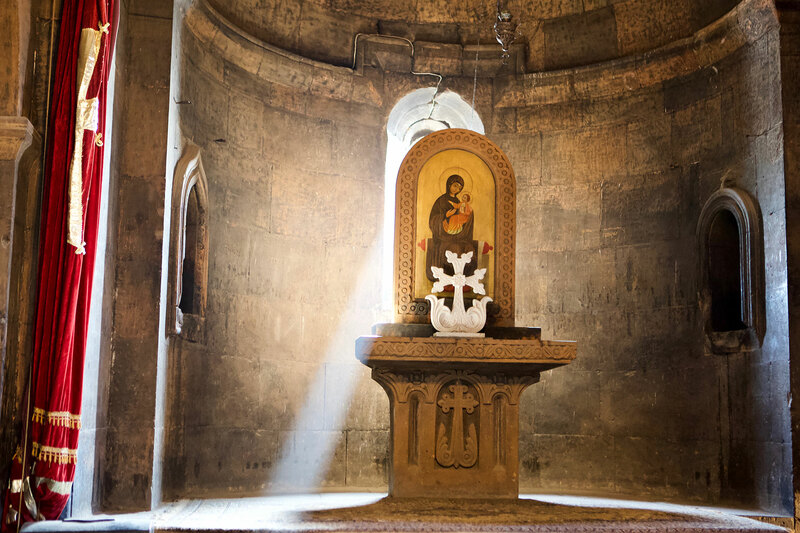 This fascinating Adventure through two former Soviet republics, Georgia and Armenia, gives us a chance to delve into their rich history and ancient culture. Located on the Southern Caucasus, these countries were greatly influenced by the fact that they sit on the crossroads connecting Asia and Europe, with Armenia on the route of the Great Silk Road. Due to conquests over the ages, these two countries have experienced much cultural diversity resulting in a variety of architectural styles ranging from medieval to neoclassical to Art Nouveau to Stalinist. On our journey we will come across many medieval churches and forts as well as numerous monuments and masterpieces dating from antiquity through the middle ages. Welcome to Tbilisi, Georgia! The tour leaders will arrange your transport from the airport to our hotel. If you arrive early, you can take a little time to begin exploring Georgia’s capital and largest city where there is much to see. In the late afternoon, we will meet for the motorcycle handover followed by a brief kickoff meeting. Afterwards, we will enjoy our first dinner together as we sample Georgian cuisine. 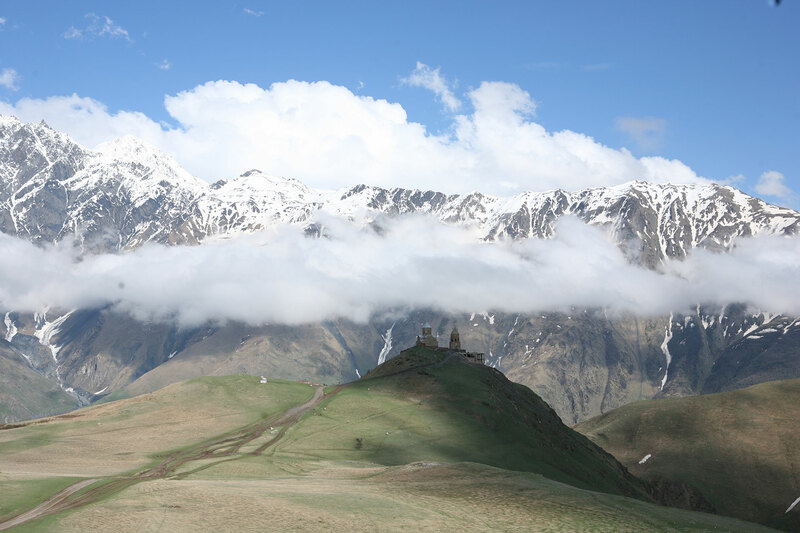 We will be staying a second day in Tbilisi to allow for an optional beautiful ride through the Caucasus Mountain Range following the traditional route used by invaders and traders throughout the ages. 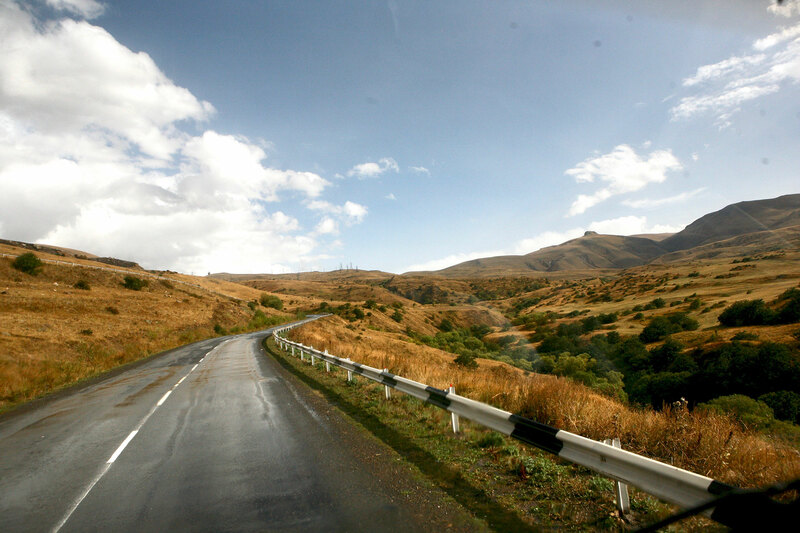 The Georgia Military Road is considered one of the most scenic and challenging roads in the South Caucasus. For those opting to stay in the city, there is much to see in Tbilisi and the surrounding areas. Because of its strategic location in the heart of the Caucasus between Europe and Asia, Tbilisi has had various regional powers dominate the area over the ages. This has resulted in diverse cultural influences which is evident in the array of architectural styles including Byzantine, Neoclassical, Art Noveau, Beaux-Art, Middle Eastern and Soviet modern styles. Today we travel to the eastern province of Kakheti. Georgia is believed to have been the first wine producing region of the world and, although wine is produced throughout Georgia, Khakheti is the premier wine growing region. We will pass through Telavi, considered to be the most medieval city in the country. An optional side trip to the city of Dedoplistskaro is a possibility. Though the roads are rougher, the combination of expansive steppe grasslands alternating with the eroded badlands of the semi-desert makes it worthwhile. Our destination is the popular tourist town of Sighnaghi with its picturesque landscapes, pastel houses and narrow cobblestone streets. Today we ride along the valley carved by the River Mtkvari, known as “the river that eats mountains”. We will travel through the town of Gori, the birthplace of Joseph Stalin. Our destination is the popular resort town of Borjomi, nestled in the scenic Borjomi Gorge at the foot of the Borjomi-Kharagauli National Park. Boromi is known for its bottled mineral water, the number one export of Georgia. Proceeding into the Caucasus Mountains, we follow the River Enguri north to Mestia, the regional capital of Upper Svaneti. Although a small town of less than 3,000 inhabitants, Mestia is the main center for tourism in the area and thus has the feel of a larger city. It contains a number of medieval churches and forts that are UNESCO World Heritage Sties. The Mestia Historical-Ethnographical Museum includes a variety of unique icons and manuscripts. 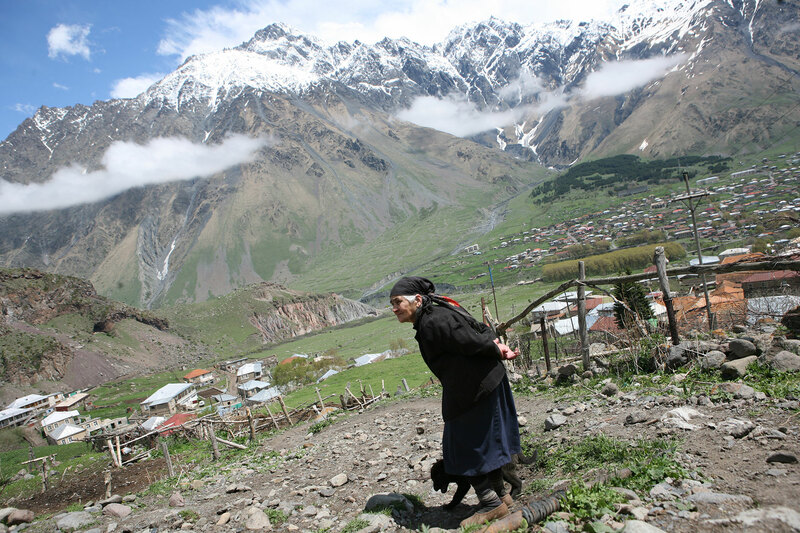 Our free day in Mestia allows for a ride to Ushguli, a small community situated at the head of the Enguri gorge. 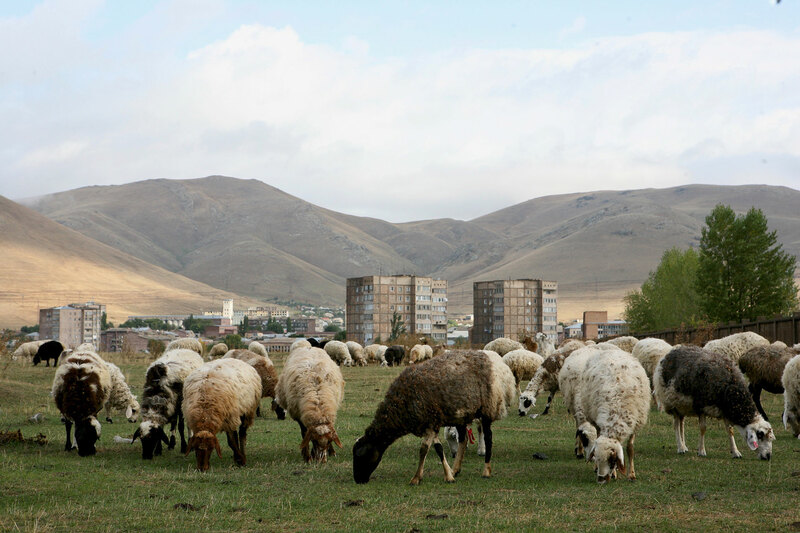 As an altitude of 6900 ft, Ushguli is the highest inhabited settlement in Europe. The village includes typical Svaneti “tower houses”, distinctive stone structures which are built for defence as well as for habitation. The Ushguli Chapel, located on a hilltop near the village, dates back to the 12th century and contains religious artwork from that period. 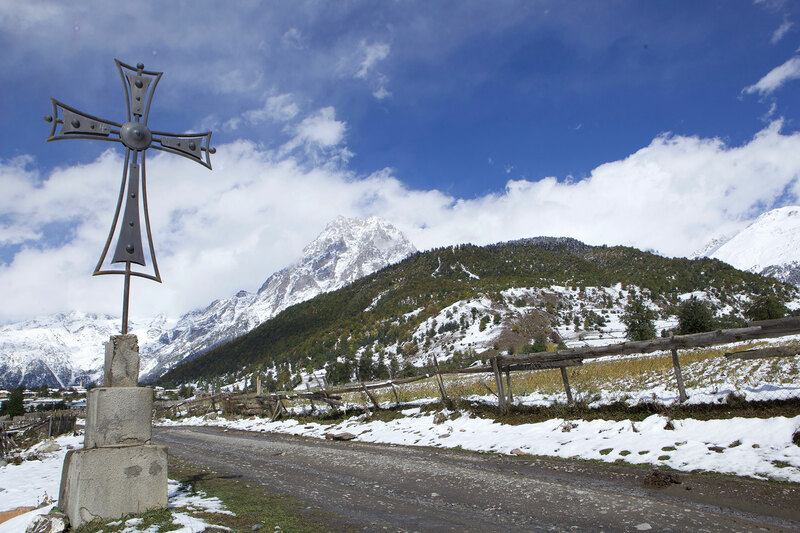 In Mestia, there is an excellent museum that should not be missed: The Svaneti Museum of History and Ethnography. This museum contains illuminated manuscripts, icons and other antiquities from Svaneti churches. Some of the archeological displays are from the 3rd century BC and the manuscripts are from the 9th – 18th centuries. 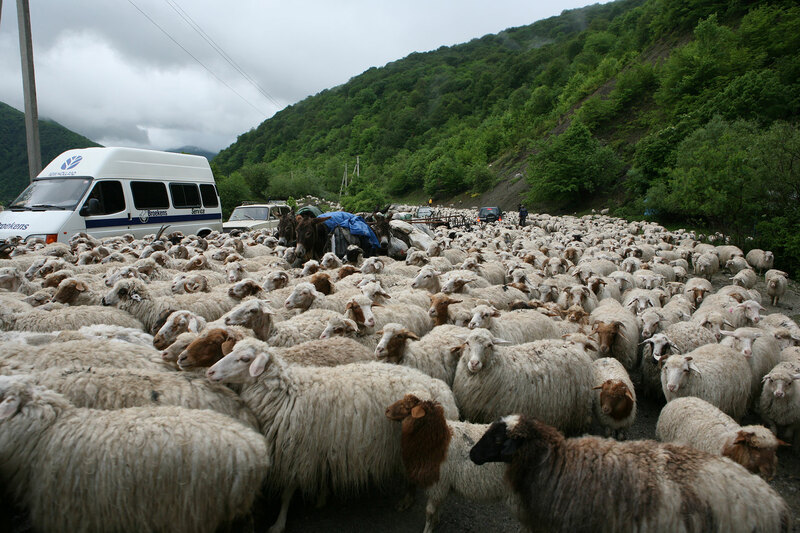 Today we leave the Upper Caucasus Mountains as we ride toward the shores of the Black Sea. From the major port city of Poti, we will skirt the Adjara coastline to the south and pass by Kobuleti, a popular seaside resort and beach town. Further down the shore we arrive at our destination of Batumi. 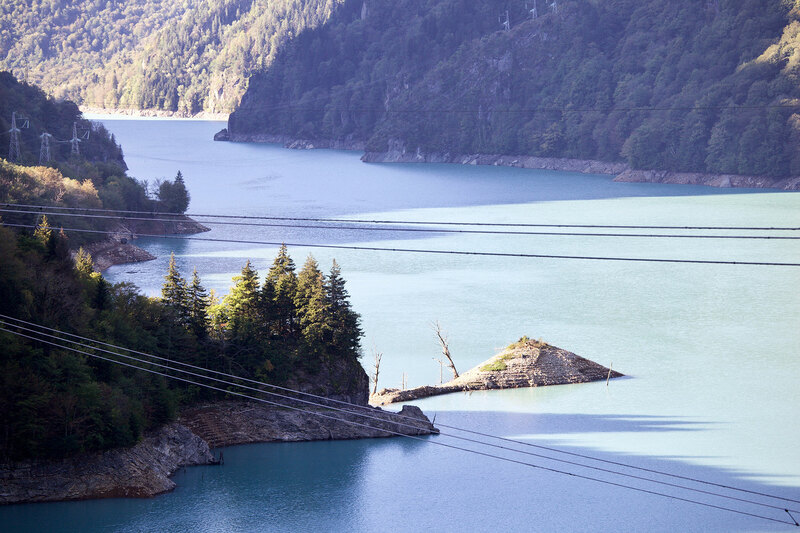 Its coastal location, subtropical climate and scenic proximity to the Lesser Caucasus Mountains makes it an ideal place for our next free day. 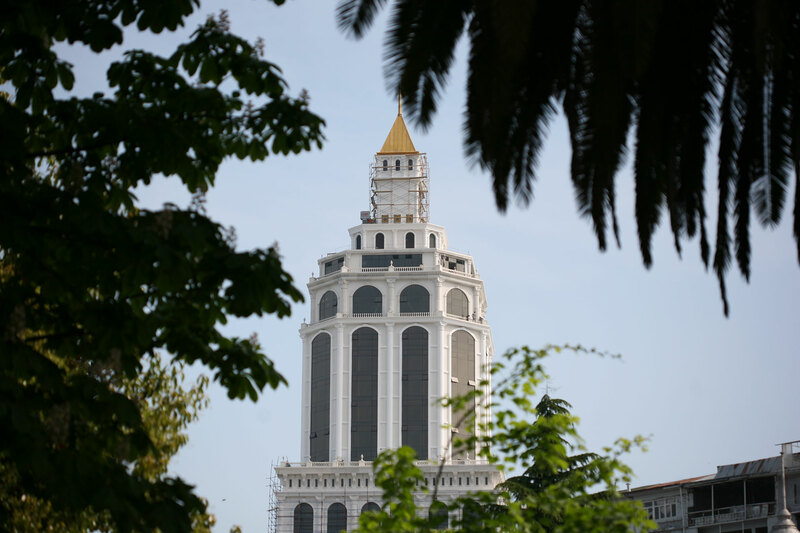 Batumi, the “pearl of the Black Sea” is one of the oldest cities in Georgia. As the tourism and gambling capital of the region, there is much to see and do. 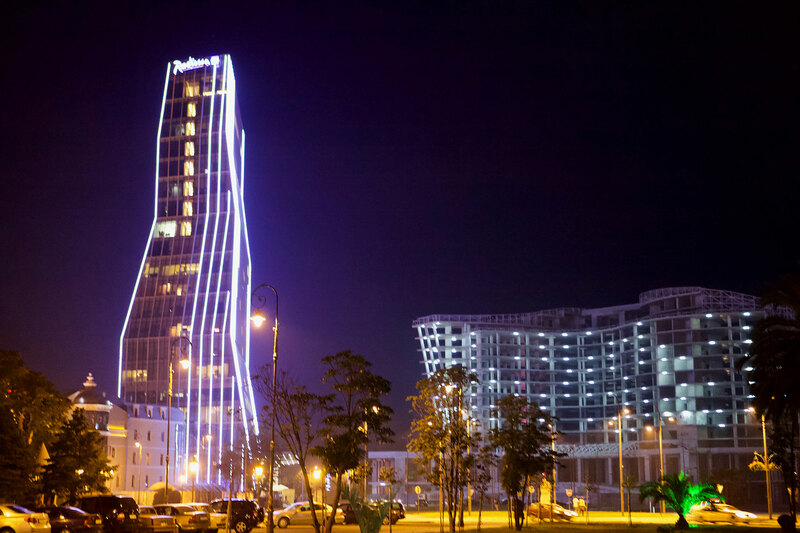 Take a short cruise on the Black Sea, stroll along the 4-mile seaside Batumi Boulevard with its numerous Mediterranean cafes, dancing fountains and sculptures, or visit the beautiful Piazza Batumi with its exquisite mosaics and stained-glass windows. Another possibility is to visit the Batumi Botanical Gardens. Or you may choose to simply sit back, relax and enjoy the soft ocean breeze. Today we follow the course of the Acharistskali River on our way to the Arsian Range in the Lesser Caucasus Mountains. We will pass several historic bridges with distinctive dramatic arches that were built in the 12 th century. 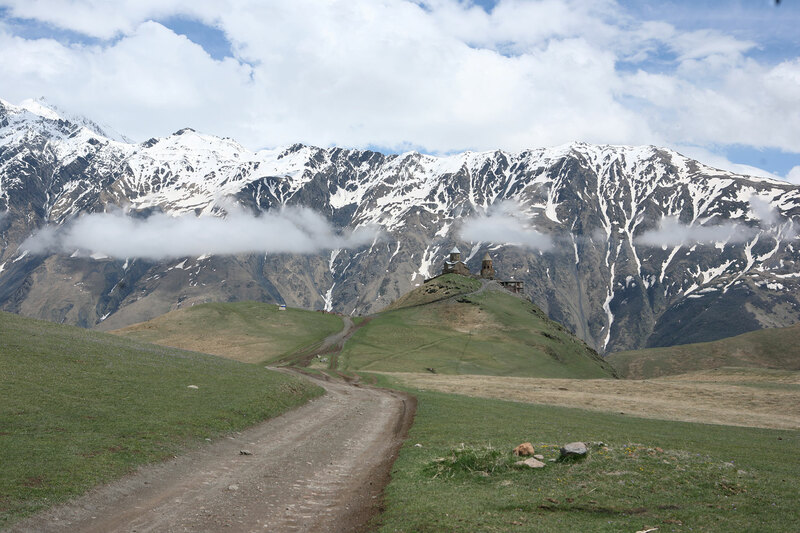 On our descent from the Goderdzi pass, we will stop in the city of Akhaltsikhe situated on the Potskhovi River. We will then do a loop to Vardzia, on a spectacular road twisting its way through rocky hillside. There we will stop to explore the 12 th century cave monastery carved into the Erusheli Mountain before returning to Akhalkalaki for the evening. 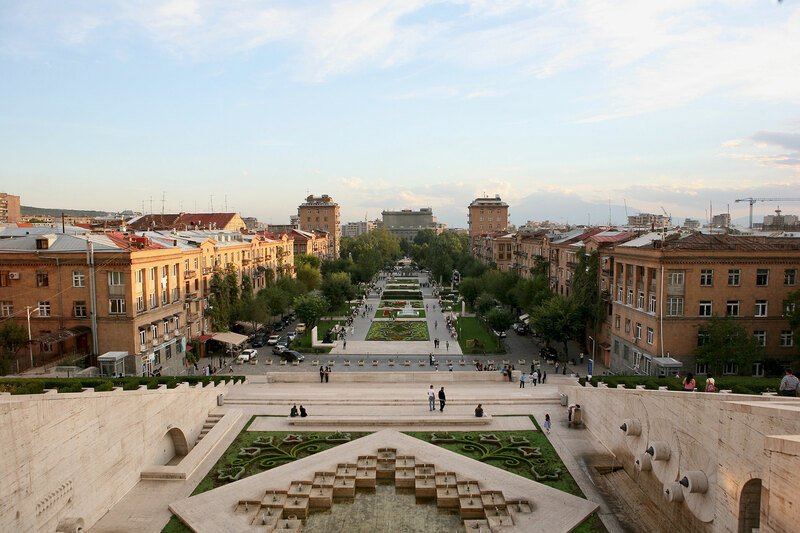 Today we cross the border into Armenia and head to the capital and largest city, Yerevan. 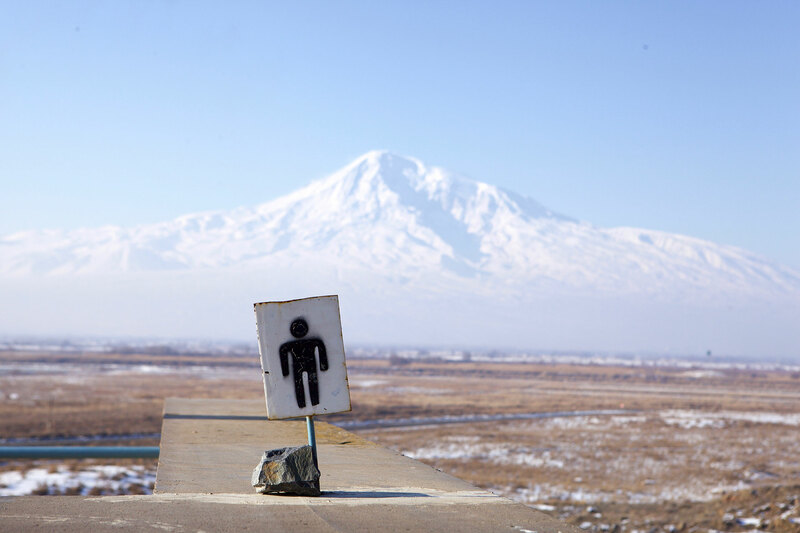 Our route will take us past Aragats, the highest mountain peak in Armenia. Beloved by Armenians, Aragats is a four-peaked volcano that reaches 13,420 ft at its summit. We will arrive early and can take the time to explore one of the world’s oldest continuously inhabited cities. The “pink city” has many attractions to discover, all within walking distance of the city centre. A must-see is the giant limestone stairway known as the Cascade, an Art Deco version of the Hanging Gardens of Babylon. The Cafesjian Museum, an Armenian version of the Guggenheim, is located within this structure. 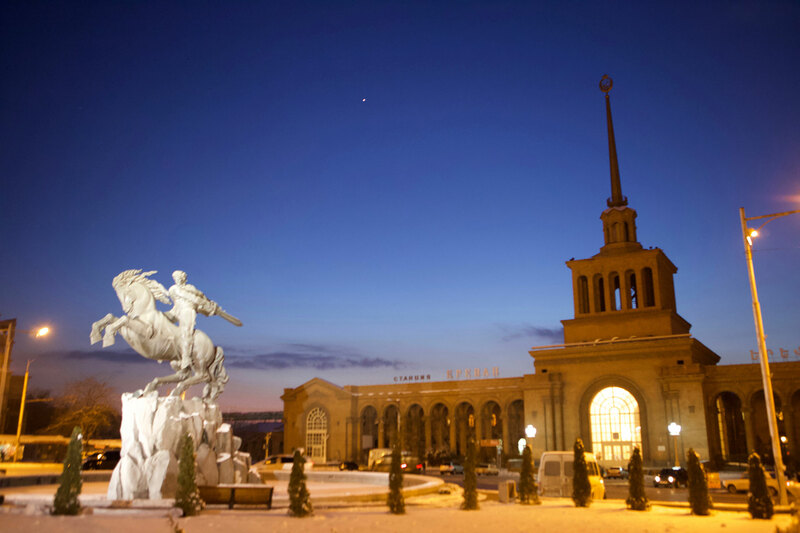 The magnificent Yerevan Opera House is nearby in Freedom Square. There are many popular cafes and restaurants in this area. You may want to sample some simple Armenian fare such as khoravats and oghee (barbecue and vodka). A beautiful ride on very scenic old roads brings us to Sevan, one of the most popular resort towns in Armenia located on Lake Sevan. We pass through Dilijan, situated within Dilijan National Park, and known as the “Armenian Switzerland” due to its outdoor attractions. 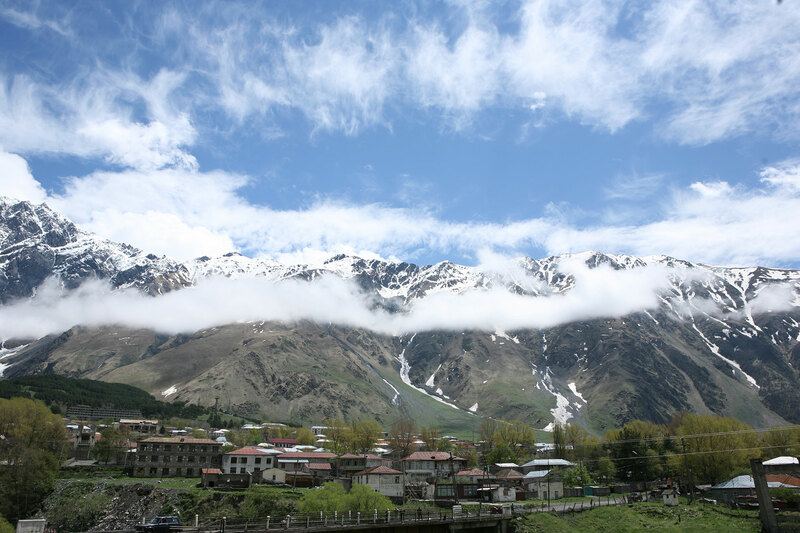 We continue on to Dzoraget located on the banks of the Debed River in the Caucasus where we will spend the night. Today we leave the Caucasus Mountains behind as we head back to Tbilisi. We have the option of continuing a little way past Tbilisi to explore the village of Mtskheta, the most religious city in the country. A UNESCO World Heritage Site, Miskheta is still an active site for major religious events. Once back in Tbilisi, there may be time to do additional exploring of the city. In the evening we will enjoy our final celebratory dinner together. This trip is intended for experienced riders. Personal motorcycle: deduct $1,200 from the rider price.